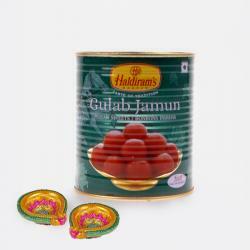 Product Consist : Gulab Jamun (Weight : 1 kg ) with Assorted Fire crackers (Worth Rs.300/-) (Note: Types of Fire Cracker are depends upon their availability no specific choice). 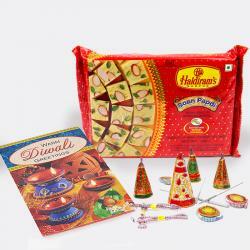 Sweets are an integral part of every Indian Festivals. 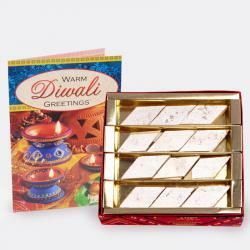 On this Diwali, treat your dear ones with awesome sweets to bring smile on their faces. 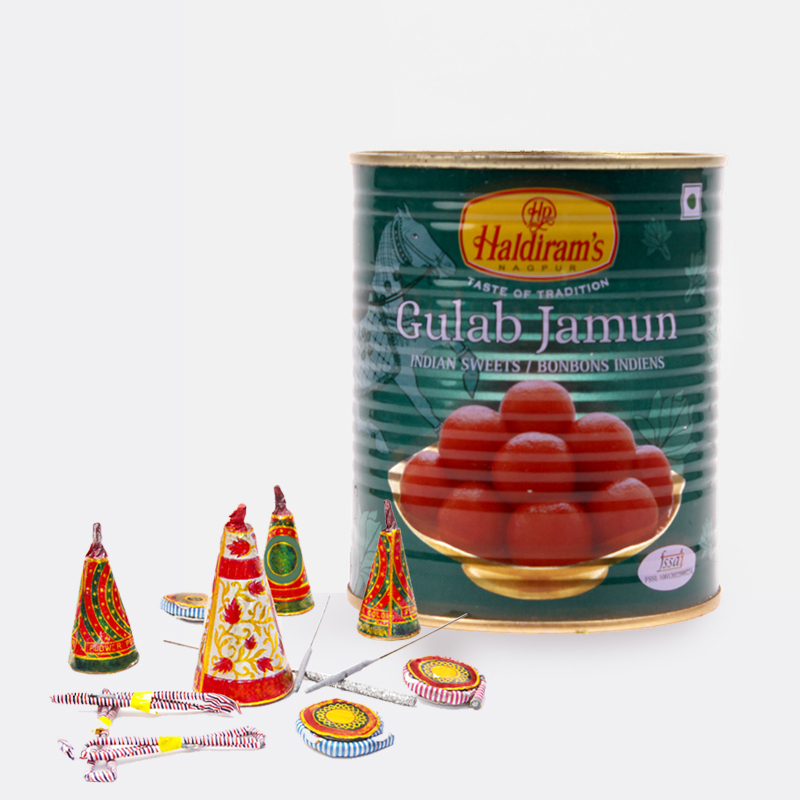 This is a stunning hamper that consists of a 1 kg tin of lip smacking Gulab Jamun and exciting assorted fire crackers worth Rs. 300 that include sparklers, ground chakkars, sparkler threads and so on. This fun filled gift hamper is perfect way of letting your loved ones know how special they are for you. So what are you waiting for, book your order today. 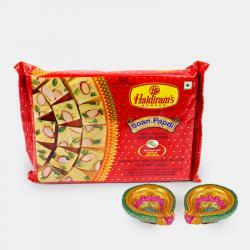 Product Includes : Gulab Jamun (Weight : 1 kg ) with Assorted Fire crackers (Worth Rs.300/-) (Note: Types of Fire Cracker are depends upon their availability no specific choice).